The world was once guarded by powerful dragons which protected the fragile lives of those humans who chose to remain under their shielding wings. However, a mysterious force wished to claim the dragons’ power for its own or destroy it all together and darkness consumed the land. As chaos spread, people fled their homes and all seemed lost. In a final effort to save mankind, the dragons sealed themselves away to keep their powers from being harnessed and used for evil. Now, the world awaits its hero. 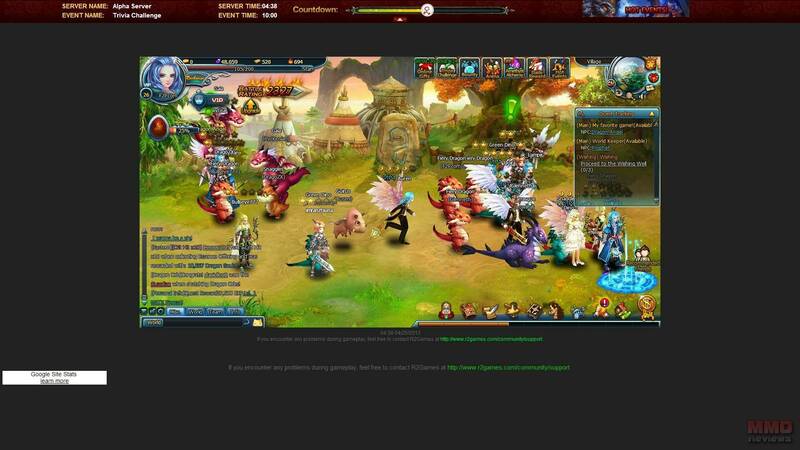 In Dragon Pals, players may choose from three playable classes, each with unique skills and abilities. - Warrior: Warriors wield powerful attacks while being able to withstand great damage. - Mage: Masters of the elements, mages use magic to outwit their foes. - Archer: Archers are tactical warriors preferring to annihilate their enemies from afar. Each class has its own unique skill set made up of three different types of skills: attack, support, and talent. Attack and support skills may be dragged to the skill bar to be used in battle while talents act as passive skills. Players have two separate skill bars and may use up to three skills in a skill bar at any time. While only one main attack skill can be used in a hot bar, they may use as many support skill combinations as they like to. Sealed away from the world, dragons are the most powerful ally players are able to acquire and await them to unlock their powers. Each dragon has its own set of unique skills; depending on your class some dragons may be more useful than others. The more powerful your dragons are, the greater your own power will be as they increase a character’s battle rating and provide significant stat boosts in battle. When freeing, raising, training and customising new dragons, they will grow in strength. Dragon orbs may also be used to increase the dragon’s power. The more successful a dragon’s training, the better their base stats will be. While raising their dragon, players will be able to control which attributes they want to strengthen to best suit their battle needs. Dragons may also be morphed, allowing you to directly influence the appearance of your dragon while significantly increasing its battle rating. Exercising is a key factor when it comes to gaining offline experience whether or not you are actually online. This feature allows characters to exercise and accumulate experience for up to 8 hours at a time. You can even gain bonus offline experience if you are strong enough to occupy one of the limited spaces in a room. Players who decide to remain online while exercising receive a 30% increase in the amount of experience gained. Every ten minutes of continuous exercise will result in a blessing star containing extra experience. Once the maximum number of stars has been reached, the player has to collect them in order to continue receiving stars. In Dragon Pals, PvP takes place in the arena where players may challenge others to a duel up to 15 times per day. By challenging and defeating an opponent of a higher rank, players will then occupy that rank while the defeated person will descend in rank. You may gain amethysts and dragon souls for competing in the arena and the higher your rank, the better your reward will be. On their farm, players will grow crops that yield EXP and amethysts. They will start with three empty plots, each capable of growing one plant at a time. When levelling up their farm, new plots will be unlocked until a maximum of 12 plots is reached. Friends can help each other out through prayer, weeding and bug control and are able to accelerate the growth time. They can even be turned into servants for a limited period of time by challenging and defeating them in battle. While someone is your servant, you will gain a 10% profit from whatever they harvest from their own farm. In addition, you may pray to the Harvest Goddess to increase her blessing power. As she grows in power, she will offer you chances to be blessed. The Demon Tower actually consists of two different towers to climb: Warrior’s Tower and Hero’s Tower. Each contains 100 levels and the Hero’s Tower can only be accessed once the Warrior’s Tower has been completed. In order to ascend the tower, players will have to defeat the monsters or boss on each level. Each time they restart the tower, they will be sent back to the first level. The magic coins that can be obtained for competing in the Demon Tower can be used to buy unique equipment and items. Skip this game unless you’re willing to pay. You cannot trade with other players or use potions without purchasing from the store. Potion ability has to be repurchased after 30 uses. Also character inventory space is miniscule and easily exceeded in the first hour of game play.